On behalf of our entire team I would like to wish all of you and your loved ones a Merry Christmas and a Happy New Year! Hopefully you get to spend some quiet, peaceful time with your loved ones. 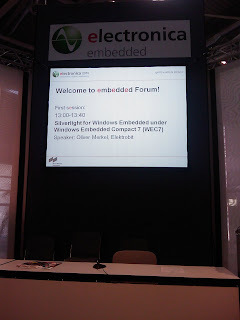 Of course we will continue to post interesting and helpful news from the world of Windows Embedded here on our blog in 2011. Again, Happy Holidays to you all! I will spent Christmas with my wife and my parents in southern Germany. From what it looks like we will have a white Chrismas. 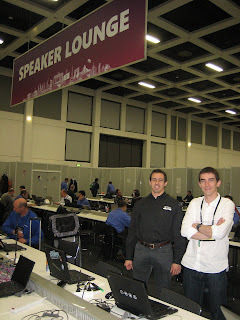 Round 1 of this years embeddedSPARK Challenge ends on January 2nd 2011. So hurry and enter your idea for a Windows Embedded Compact 7 project for a chance to win $15,000! 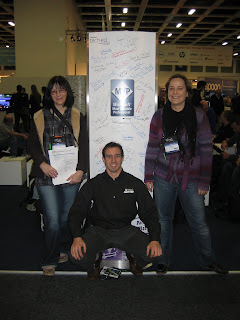 By the way, this year I will be a judge for the embeddedSPARK Challenge. 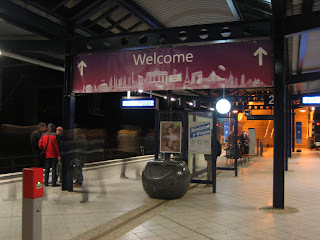 es ist mal wieder so weit: vom 07. bis zum 09. Dezember 2010 findet der diesjährige ESE-Kongress in Sindelfingen statt. Mit 97 Fachvorträgen und 10 Kompaktseminaren aus Entwicklung, Forschung, Lehre und Management bietet der ESE-Kongress reichlich Stoff für neue Ideen, Lösungswege und angeregte Diskussionen. 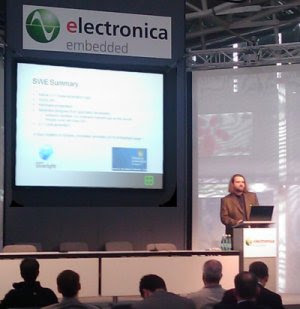 Ich werde am 09.12.2010 auf dem ESE-Kongress sein und den Echzeit & RTOS Track moderieren. Ich hoffe Sie sind neugierig geworden. Ich freue mich auf Sie! 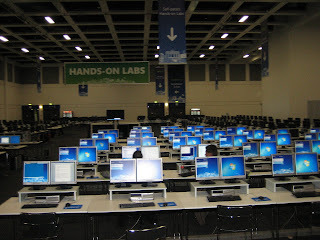 So you are looking for Windows Embedded Standard 7 (WES7) virtual labs, video tutorials, webcasts, sample code, etc… Here you go! Just in case you missed the MS Live chat today, the transcript of the chat is available here. A: We are continuing to evaluate the plans to bring Silverlight in the Browser support to the CE product line. We don't have details to share at this time. 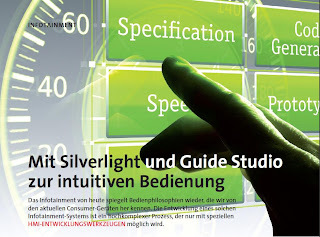 Silverlight for Windows Embedded delivers the same SL based UX expierence in a out of the browser hosting model. You can use the same rich designer tools (Expression Blend) And VS to build and test the application while takeing advantage of embedded hardware capabilites such as GPU offloading and hardware based media playback. Q:  Can you answer any questions around Windows Embedded HandHeldTerminal? A: The Windows Embedded team is currently focused on delivering the next major version of the Windows CE OS, Windows Embedded Compact 7, which will be released later this year. 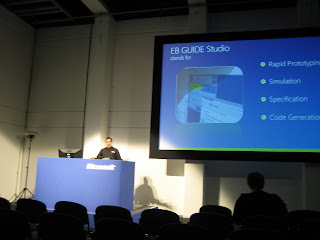 Windows Embedded Compact 7 will also provide an updated version of the Platform Builder development tools as a plug-in to Visual Studio 2008. With Compact 7, the Embedded community will continue to have the same great support for developing drivers, OS images, and applications as they do with the current available version, Windows Embedded CE 6.0 R3. The enterprise support lifecycle will ensure that the Embedded development community has the needed support in Visual Studio 2008 throughout 2017. The Windows Embedded team is working with the Visual Studio team to determine whether and how Windows Embedded Compact support would be added to Visual Studio 2010, but as of now there is nothing planned. For those developers also creating applications for Windows Phone 7, Visual Studio 2010 will install side-by-side with Visual Studio 2008. Q:  I have heard a lot of confusing and contradictory reports of support for Smart Devices running WIndows CE in VS 2008? What's the official line? A: Hi Mike, Windows Embedded Compact 7 is based on previous OS releases and adds new features. The best source of information is http://www.microsoft.com/windowsembedded/en-us/products/windowsce/compact7.mspx. There's information about the upcoming release and you can register to download a Public Community Technology Preview copy for evaluation now. Q:  Who licenses the Windows Embedded HandHeldTerminal - Microsoft or distributor? A: For OEMs we have a few direct relationships but the majority of the OEMs go through distribution. 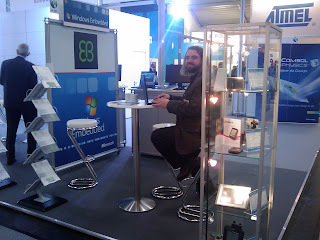 BSquare http://www.BSQUARE.com is the only distributor for Windows Mobile and Windows Embedded Handheld today. 1.Should microsoft support the Silverlight for Windows Embedded with manage code in next version ,such as C#? How can I update the UI use another thread? A: It is not recommended to update the UI in a second thread, but it’s possible if the VisualHost is created with AllowsMultipleThreadAccess. <http://msdn.microsoft.com/en-us/library/ee502975.aspx>; . Working on responses for the other questions and will post when information is available. Q:  Is there any plan for the Direct2D or DirectWrite APIs to be supported in Compact 7? A: No, there is no planned support for this. Q:  To follow up my question, Win7 phones use Silverlight Web, correct? Can you elablorate why Embedded CE 7 is different? The issue with Silverlight Embedded is that now I have two sets of code behind and then also have to re-write the app twice. It is difficult to justify this approach. Please take this and encouragement and not a complaint. I understand issues with CPU and memory but the C++ only Silverlight is something of a non-starter. A: To our knowledge Win7 Phone doesn't use Silverlight in a browser. 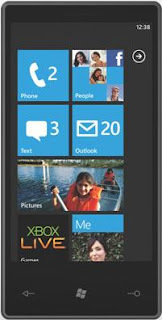 The same XAML can be used in both WinCE and WP7 but yes the code behind the XAML is different between WinCE and WP7. If you are thinking of going to Tech Ed this year then don't miss out the opportunity of making sure you get the content you want to hear! 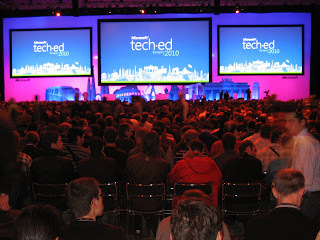 On the Tech Ed site you can vote which sessions you would like Microsoft to include in the event. 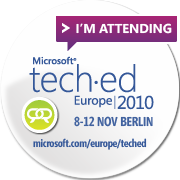 To select your preference simply go to http://europe.msteched.com/sessionpreference choose the right Track in the drop down box: Windows Embedded and select the session you would like to hear. So make sure you add these two sessions to your List - now! Get ready for a very busy autumn (== fall)! Start planning your schedule and saving dates for this autumn as it is going to be a very busy one this year (at least in europe)! 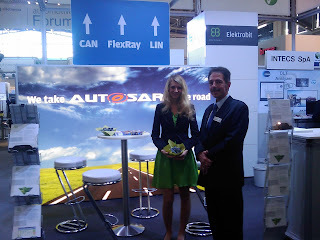 Not only will the upcoming versions of Windows Embedded Compact and Windows Embedded Automotive be launched (hopefully!) but there are also several events where such a launch could take place - I wonder where? In the beginning of October especially the partners and distributors will be nervous as the annual WEPP Summit takes place and numerous Excellence Awards for Outstanding Efforts will be awarded. 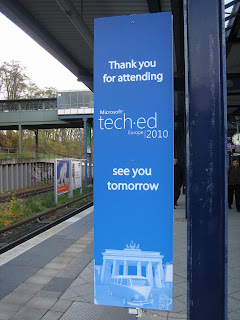 Then, beginning of November Microsoft's Embedded Group, together with partners, will be attending the electronica in Munich, November 9 - 12. 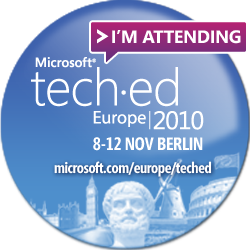 Simultaneously, Tech Ed Europe is taking place in Berlin, November 8 -12. 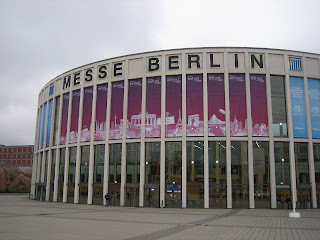 And to wrap things up, SPS/IPC/Drives takes place as usual in Nuremberg, November 23 -25. Hope to see you around at one of the numerous events this autumn! Today I want to talk a little more about the Windows Embedded Silverlight Tools (WEST) that come with Windows Embedded Compact 7 (WEC7). As explained in my Silverlight for Windows Embedded (SWE) tutorial for WEC7, WEST generates most of the C++ glue code that with Windows Embedded CE 6.0 R3 we would have to write ourselves! But can WEST be used to write a stand-alone application without Platform Builder? Well WEST generates a Platform Builder subproject that can not be used out of the box as of now. 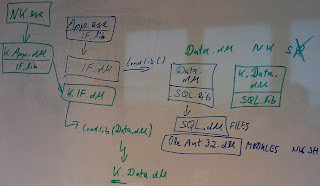 This subproject contains, amongst others, a sources file, .bib, .reg, .dat, and .db files as well as a .pbxml file. There is no .sln file. So in order to use the Platform Builder subproject generated by WEST, we need to create a solution using the generated source files as well as a WEC7 SDK including SWE support. How about using WEST to generate code for SWE in Windows Embedded CE 6.0 R3? First of all WEST installs in Visual Studio 2008 SP1 whereas Windows Embedded CE 6.0 R3 is a plug-in for Visual Studio 2005. So you need to have both versions of Visual Studio installed. I created a simple SWE project for Windows Embedded CE 6.0 R3 in Expression Blend 2, similar to the one I showed in my SWE tutorial for WEC7. Surprisingly, WEST generated the C++ glue code for my simple SWE project for Windows Embedded CE 6.0 R3 and it even ran without problems on WEC7. But when trying to import the C++ code generated by WEST into a Windows Embedded CE 6.0 R3 subproject, I experienced some build errors. After including the correct header files and tweaking the sources file a little, I saw that the API set was extended in SWE for WEC7. In my specific example the SetResource() function as well as the XRXamlSource constructor was extended by a version that takes 2 arguments that is not available in SWE for Windows Embedded CE 6.0 R3. After adjusting those calls my WEST generated sample compiled under Windows Embedded CE 6.0 R3. I would advice against using WEST to created SWE C++ code for Windows Embedded CE 6.0 R3 as even in my very simple sample project there were a lot of things to take care of manually. Instead rather use fellow MVP Valter Minutes comandline tool XAML2CPP to generate the C++ glue code for SWE for Windows Embedded CE 6.0 R3 projects. 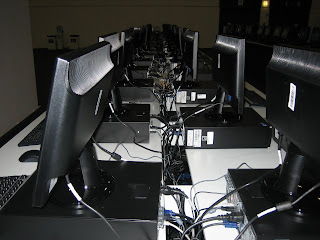 Windows Embedded CE 6.0 R3 QFEs for June 2010 have arrived! 100614_KB2132759 - Memory leaks may occur when objects are instantiated but are not deleted appropriately. 100614_KB2201469 - On platforms without GWES, the redirector waits for GWES's initialization until timeout. Default timeout 60 seconds is too long for some scenarios. 100616_KB2028762 - This update addresses a memory leak. 100625_KB2175412 - Function call to _wfdopen may result in exception. 100629_KB2249451 - The buffer size for ToolHelp snapshot is fixed to 4MB. For systems with large number of heaps and large heap sizes, some heap information is missing from the ToolHelp snapshot. 100630_KB2076770 - This update addresses the issue with the API IMediaSeeking::GetCurrentPosition() returning wrong value when the rate changes. 100603_KB982220 - Memory leak may occur while un-mounting and mounting NAND Flash file system through predefined API. 100604_KB2159499 - NAND corruption may occur when power dropps during NAND Flash Driver un-mount. 100614_KB982817 - Error message "failed formatting" shows in debug builds regardless the status of the format results. 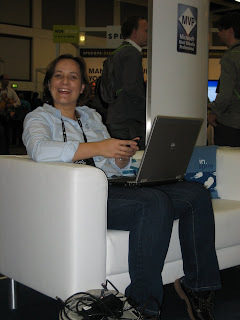 100612_KB977855 - This update enables write-allocate feature to improve ARM Coretex-A8 L2 Cache performance in kernel. 100614_KB2165755 - Under certain circumstances a page fault in KCall may occur. 100629_KB2250984 - This update installs missing source files necessary for building LMEM. 100615_KB2128768 - File system corruption may occur when trying to access bad block in the free list. 100604_KB2127600 - Memory leak may occur when the LoadLibrary API is used but there is no corresponding FreeLibrary API call. 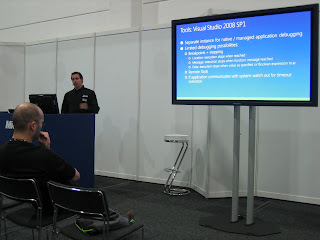 100629_KB2211240 - The hour glass shows when image does not have SYSGEN_CURSOR defined. 100625_KB2259100 - Windows Embedded CE 6.0 client may not correctly parse SIP header without angle brackets. Each winning team was awarded $25,000, again congratulations! 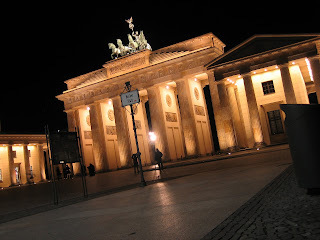 You can participate in next years Imagine Cup here. Everyone knows - that's really a bad! Some time ago there was an article by Steve Maillet, referenced by many newsgroup posts. But it isn't there anymore (http://www.embeddedfusion.com/Articles/CustomCoreUI.htm). Do you have a local copy? Please spread it! In the end I played around with the various environment variables listed in the help topic and - what a wonder - when sysgen finally buildt gwes.dll the linker took my own oomui.lib. So, technically the solution works - but only at first glance! I didn't want to run an extra sysgen step to get my version of gwes.dll. The solution has to work in a single sysgen run, too. One of my colleagues told me that he runs nmake to build the usb stack. So, I spent some time playing around with nmake, environment variables and trying to understand the involved makefiles, batches and so on. Finally I arrived at the conclusion that this way does not work. Unfortunately, some libraries are deleted by building the gwes target so I always ended up with linker errors (at least _GwesMain). May be I missed something. If you have got a clue let me know! But as far as I noticed there is no other way to hook into the sysgen step (after platform binaries have been built) to get gwes.dll linked with the platforms oomui.lib. 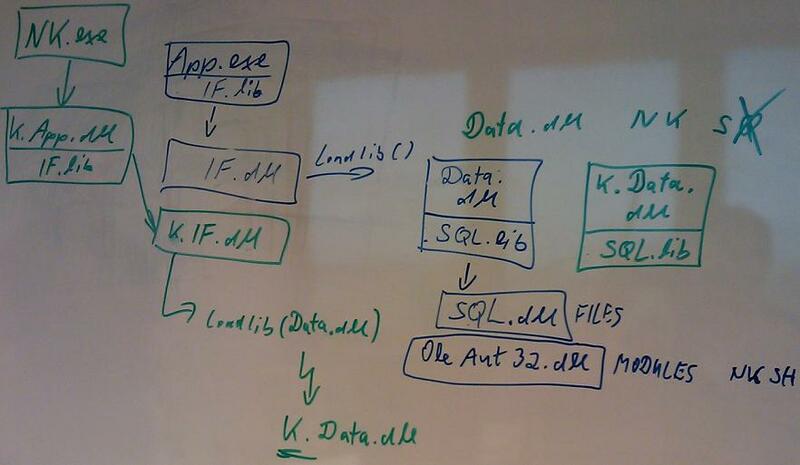 My solution is quite simple and definitively works without any changes to public code. The only disadvantage is that you have to copy the files after you changed something in your oomui code. 2. Adapt it according to your requirements, e.g. As already mentioned: I really appreciate improvements, hints, comments!